With the investment and support from Al Gore, the 45th Vice President of the United States from 1993 to 2001, Gogoro, a Taiwan-based venture-backed company that develops and sells electric scooters and battery swapping infrastructure, eyes Southeast Asia, an area suffering increasingly severe air pollution, as its next target market to explore. Bloomberg, an international business news provider powered by more than 2,600 journalists and analysts in more than 120 countries, reported, Horace Luke, CEO and Founder of Gogoro, plans to launch the company's electric scooters overseas, and Manila, the capital of the Philippines, is on its watch list. Gogoro has received an US$300 million (NT$8.8 billion) investment from several globally well-known firms, namely Generation Investment Management LLP, a London-based investment management firm; Temasek Holdings Pte, an investment company headquartered in Singapore with a multinational staff of 630 people; Sumitomo Corp., a leading integrated trading company engaged in diverse businesses based on its global network; and Engie SA, a firm engaging in power, natural gas, and energy service businesses; thus, how to ensure sustainable returns to its investors has become a priority for Gogoro as well. 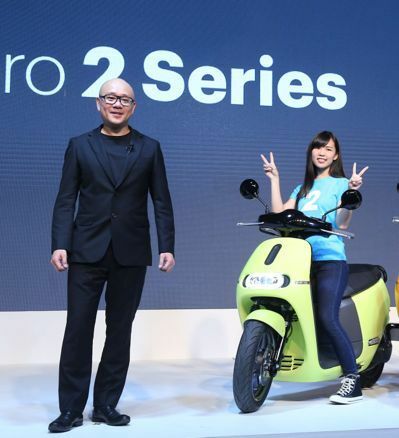 According to market insiders, the abovementioned investments have helped increase the market value of Gogoro to US$800 million (NT$23.2 billion). By now, in addition to selling its e-scooter in Taiwan, Gogoro provides scooter-sharing service in Paris, the capital and most populous city in France; and Berlin, the capital and the largest city of Germany. Also, the firm plans to launch the same service in Ishigakijima, an island west of Japan's Okinawa Hontō and the second-largest island of the Yaeyama islands, in the first season of 2018. Luke said, the firm's main objective this year is to ensure that its technology, products and operation are all ready for the new markets mentioned above. Once everything is done, Gogoro will be able to see its e-scooter hit roads on every big city in the world. Horace Luke(left), CEO and Founder of Gogoro (photo provided by UDN.com).